Jose Mourinho could rotate his squad for this evenings match with Aston Villa with Monday’s match with Manchester United in mind. Juan Mata, Romelu Lukaku, Demba Ba and Andre Schurrle are all pushing for starts, though David Luiz still remains side-lined with a hamstring injury. In the corresponding fixture last season, the Blues ran out 8-0 winners, though with Villa on a high after Saturday’s win at Arsenal, the game is likely to be much less one sided this time around. Elsewhere, the Blues are lining up a third bid for Wayne Rooney, according to the Express. The Chelsea manager has not given up on landing his top transfer target before the window closes on September 2nd, though he has insisted that he has alternative options should he fail in his pursuit of the England international. Meanwhile, the Express have also reported that Demba Ba is being lined up by Roma as a replacement for Erik Lamela, who is locked in talks with Tottenham Hotspur. 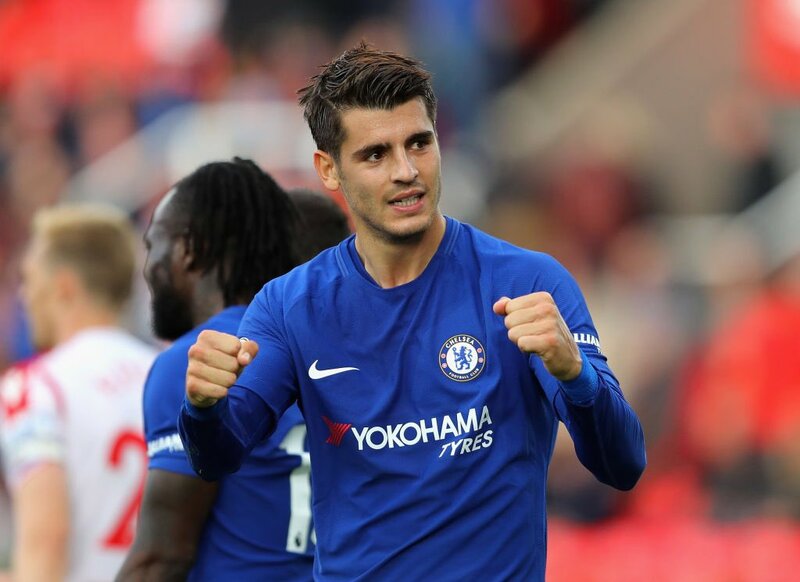 The 28 year old, who only moved to Stamford Bridge back in January, was an unused substitute in Sunday’s victory over Premier League newcomers Hull City and is the most likely player to make way once the club sign a new forward. Barcelona are readying one final offer for Chelsea defender David Luiz, the Mirror understands. The Catalan club are desperately trying to strengthen their back line ahead of their title defence, and have identified the Brazilian international as their top transfer target. However, they are set to be disappointed, as the Blues have insisted that they are not willing to part company with the 24 year old, who has made over 100 appearances for the club since signing from Benfica back in January 2011. Meanwhile, Frank Lampard has declared himself fit for next weekend’s Premier League game against Hull City at Stamford Bridge. The 35 year old, who may also feature in England’s friendly international against Scotland at Wembley on Wednesday, has missed the majority of Chelsea’s preseason with an Achilles injury. However, he returned for the clubs 3-1 defeat to Real Madrid last Wednesday, before scoring a trademark long-range effort in the 2-1 win over Roma in the early hours of Sunday morning. Romelu Lukaku did his chances of securing a starting berth for the season opener, after hitting a late winner – sparing new signing Mark Schwarzer’s blushes after the veteran keeper gifted the Italian’s an opener on twenty minutes. Chelsea are preparing themselves for a bid from Bayern Munich for defender David Luiz, according to the Metro. Pep Guardiola wants the Brazil international to play in the heart of his defence as he aims to retain the league, cup and Champions League in his first season with the club. The Spaniards former club Barcelona are also reportedly interested in the 26 year old, who the Blues paid £21m to Benfica for two years ago. Meanwhile, the Express claim that should the transfer happen, the club could potentially move for Luiz’s international teammate Leandro Castan. The Roma defender made 30 appearances in Serie A last season, with his last game coming in the 1-0 Coppa Italia final defeat to fierce local rivals Lazio. Elsewhere, the club are lining up a move for Bayern Munich’s holding midfielder Luis Gustavo, the Mirror understands. Jose he has identified the 26 year old, who is set to see his chances it the Allianz Arena limited following the arrival of Thiago Alcantara, as his top target in that position following reports that he has doubts over John Obi Mikel’s ability to play that role. Finally, Fulham, Middlesbrough and Wigan Athletic are all interested in taking eighteen year old defender Nathan Ake on loan, according to the Daily Star. Gonzalo Higuain will reject a move to the Premier League to stay with Real Madrid, the Metro understands. Chelsea are reported to have entered the race to sign the striker, who has been a target for London rivals Arsenal since the end of last season. Manager Jose Mourinho worked with the Argentina international for three years at the Bernabeu, and is said to be keen on being reunited with the 25 year old. Serie A side Napoli are also keen on signing Higuain, though his agent Enzo Bronzetti believes that is also unlikely, claiming that Real boss Carlo Ancelotti will convince the player to stay in the Spanish capital. Meanwhile, Manchester United manager David Moyes has reiterated that Wayne Rooney is not for sale amid continued speculation that the England international is set to move on, according to Sky Sports. The 27 year old is reportedly ‘angry and confused’ at comments made by Moyes that suggest that he is merely a backup to Robin Van Persie. Elsewhere, Brazilian full-back Wallace is set to be loaned out this season. The 19 year old was signed by the Blues back in January, before being immediately loaned back to Fluminese before joining up with Jose Mourinho’s side for pre-season training. Roma are said to be interested in the defender, which could benefit Chelsea in their pursuit of midfielder Daniele de Rossi. Paris Saint Germain are interested in signing Chelsea defender Branislav Ivanovic, the Metro understands. The French champions are looking for a replacement for Gregory van der Wiel, who is reportedly on the verge of joining Inter Milan and have identified the Serbian international as their number one defensive target. It is thought that they will offer the 29 year old a big-money, four year deal to try and lure him to the French capital, though it appears he favours staying at Stamford Bridge. Meanwhile, the Metro also report that the Blues are hopeful of re-signing striker Didier Drogba. Jose Mourinho is keen on being reunited with the Ivory Coast international, who he signed from Marsielle at the beginning of his first spell with the club. Drogba, now at Galatasaray, played in the Turkish sides 3-0 friendly victory at Shrewsbury Town on Saturday; a match attended by a number of Chelsea fans who turned up to see their former hero. Elsewhere, Daniele De Rossi has not been included in the squad for Roma’s pre-season training camp in Riscone, the Mail Online understands. The 29 year old, who is an £11millon target for the Blues, has been given an extended break following his participation in the Confederations Cup. Aston Villa will consider moving for Chelsea’s Demba Ba if they sell want-away striker Christian Benteke, according to the Daily Star. Benteke handed in a transfer request earlier this week, and will be allowed to leave should a club meet Villa’s asking price of £25million. Ba only moved to Stamford Bridge six months ago, but it is thought that the Senegal striker is not part of Jose Mourinho’s plans for the forthcoming season. Meanwhile the Express have claimed that the Blues will move for Wayne Rooney, if they sell either Ba or Fernando Torres. New Manchester United manager David Moyes has said that the England international is not for sale, though both Chelsea and Arsenal are said to be interested following reports that the striker is unsettled. Elsewhere, the Independent understands that Daniele De Rossi’s move from Roma to Chelsea is ‘all-but-agreed’. The Italian midfielder was targeted by Jose Mourinho when both he was charge of both Inter Milan and Real Madrid, though it looks as if he may finally get his man for a fee of £11million. Finally, the Mail Online have reported that Monaco have joined Turkish duo Galatasaray and Trabzonspor in the race to sign Blues midfielder John Obi Mikel.